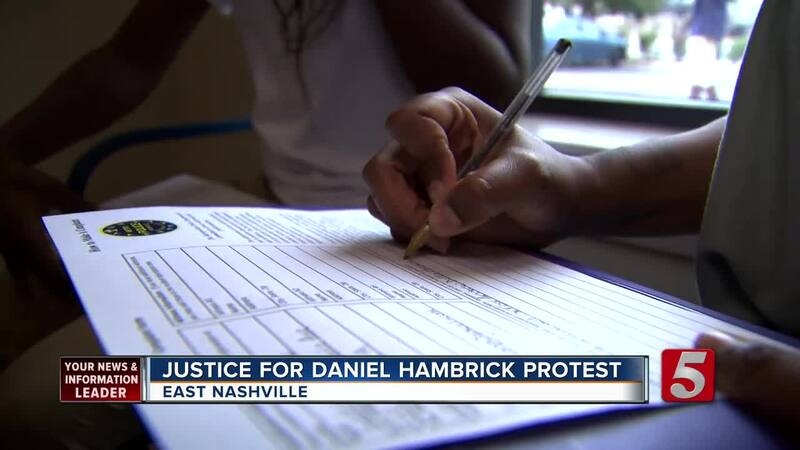 Family and friends of Daniel Hambrick held a protest outside of a Metro Police precinct and filed formal complaints over the fatal shooting. Hambrick was shot and killed by Metro Nashville Police Officer Andrew Delke in July. District Attorney Glenn Funk released surveillance video of the shooting that sparked outrage throughout the community. 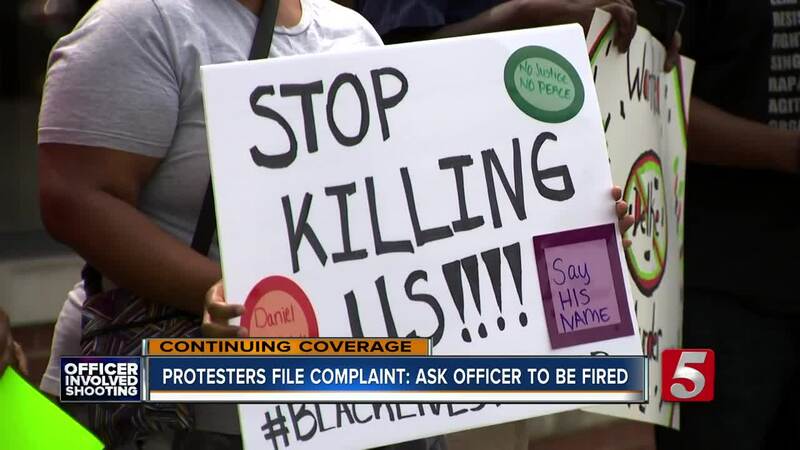 Protesters met outside of the East Precinct Friday holding signs and demanding that Police Chief Steve Anderson fire Officer Andrew Delke. Hambrick's god-parent talked about his childhood. "He was quiet he was a church going guy he went to church, that I know, at least until he was 21 and he served at church. He was in choir he played instruments in the choir he was just there," said Mildred Davis. Protesters say there needs to be more conversations about racial injustice in our community and what can be done to stop it.